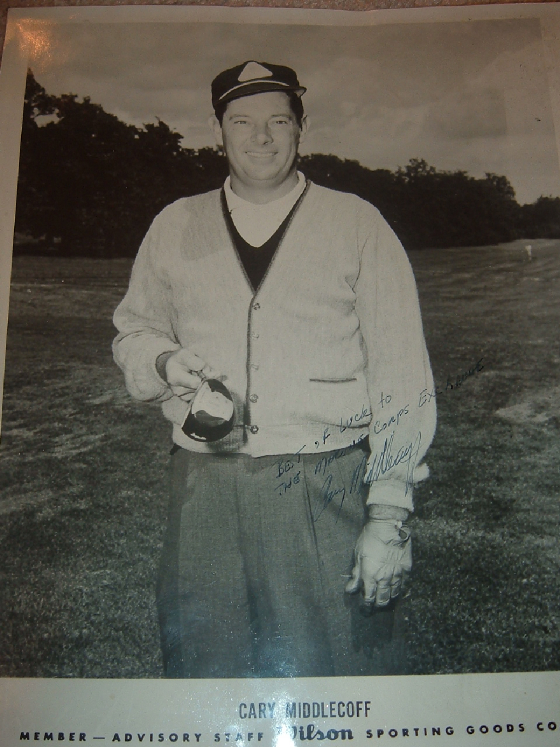 Vintage signed photograph. 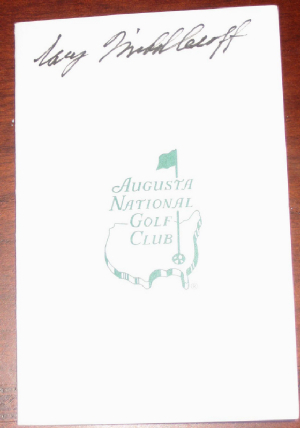 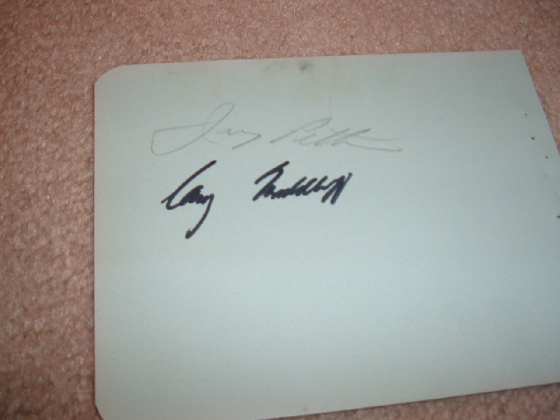 His vintage autograph was smaller and tighter than his autograph in his later years. 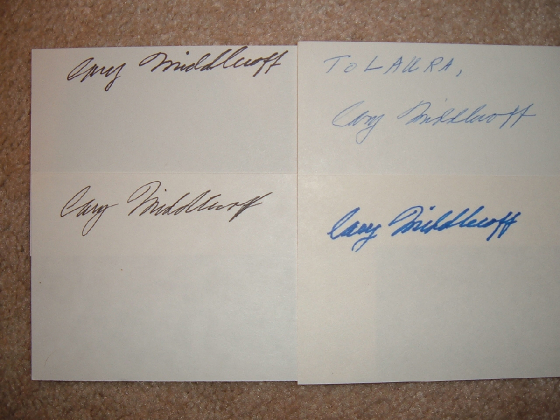 4 index cards signed in the 1990's He usually always signed the index card in the upper left hand corner bacause he was afraid of people turing his autograph into a "I owe you" note. 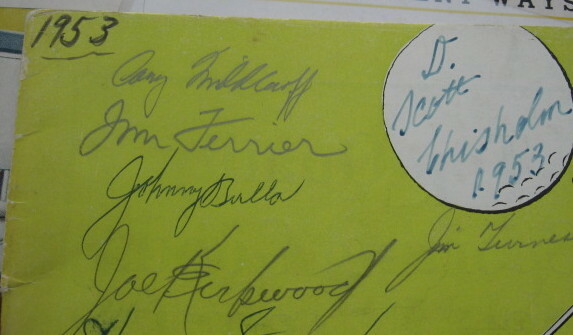 A scorecard from the 1951 Ryder Cup signed by Ben Hogan and Cary Middlecoff and the recently crowned Open Champion Max Faulkner.